Acer's new 24-inch Chromebase for meetings is the luxury model for small team video conferencing. Google’s Chrome OS continues to assault business PCs with a new all-in-one Chrome OS computer designed for video conferences. 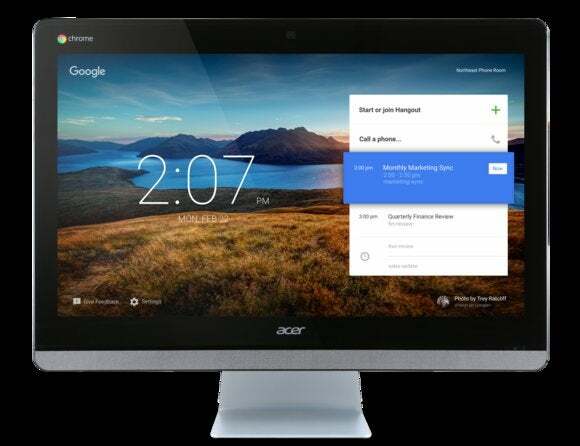 Acer and Google recently announced the Acer Chromebase for meetings based on the Chromebox for meetings platform. Acer’s new all-in-one is meant for video conferencing in “small meeting areas with up to two people,” according to Google. Obviously, this is not a solution for the boardroom, where high-quality cameras and 40-inch plus screens are preferred. Nevertheless, for small teams spread across various locations it could be a solid solution. The new Acer Chromebase appears to be based on the Chromebase 24 the company introduced in January but has yet to ship. The new video conferencing model features a 23.88-inch 1080p touch display, four integrated microphones, two stereo speakers, and an adjustable HD camera. Beyond the key components for video conferencing, the device has about what you’d expect from a Chrome OS device, including 4GB RAM, 16GB onboard storage, and a 1.7GHz, dual-core Intel Celeron 3215U processor. 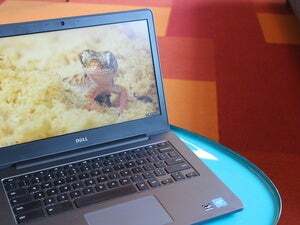 The story behind the story: Chromebooks are still not the first choice for consumers when shopping for a laptop. For businesses, schools, and other organizations, however, Chrome OS-based devices are making inroads. Market research firm IDC (Note: IDC and PCWorld are both owned by International Data Group, but wholly separate business units) said in January that it expects the market for Chromebooks and Chrome OS devices to grow at a time when the overall PC market is slumping. The fact that Acer wanted to roll out a Chromebase device purpose-built for video conferences with small groups suggests that demand for Chrome OS is, at the very least, encouraging for PC makers. Acer’s Chromebase for meetings is available now for $800 via Promevo, a Google Apps and Chromebook reseller. That initial cost includes Google’s $250 annual charge for Chromebox for meetings management and support.